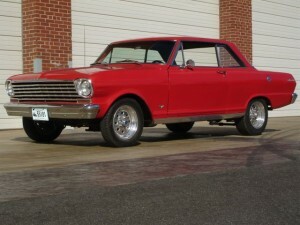 This local car is a 1963 Nova Sport Coupe. 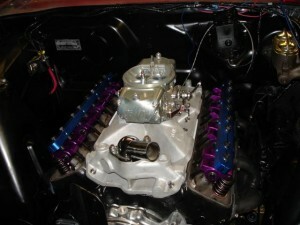 A 350 and M-21 combo put the power to 12 bolt rear and the 3.73 gears really make this Deuce move! This car couldn’t have been done without Scot’s father helping every step of the way as well as his good friend Sam who also made this car a reality. 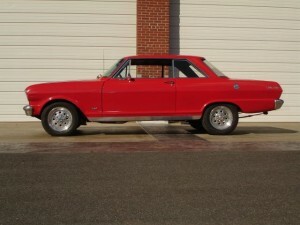 And most importantly, Scot thanks his wife Carol because if it wasn’t for her, he never would have got this car. It is a project that will never be done (We know what you mean, Scot, and wouldn’t have it any other way)!